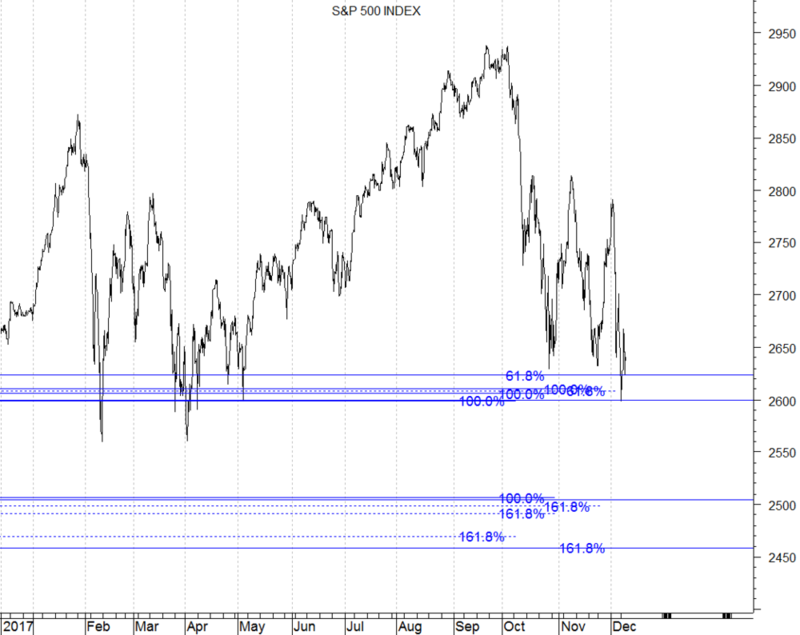 On 10.12.2018 the S&P 500 Index fell to the major support, which I had identified at 2590. The low on the hourly chart on 10.12.2018 was registered at 2598.98. The intraday-low was 2583.23. The internal wave correlation within the decline from 3.12.2018 suggests that there is another support at 2570. A break in the S&P 500 Index of 2570 is likely to activate the next supports at 2500 / 2450, a break of which would signal 2330 to 2210. Obviously, the support at 2570 on the hourly chart is of paramount importance.